Fantastic Blooms provides affordable memorial funeral preservation to their valued customers nationwide. Ever wonder how to preserve flowers from a funeral of a passed loved one; keeping them in a state where they look almost as alive as on the day you first saw them? It is a common practice to want to hold on to cherished items that remind us of someone special in our lives, and flowers are often a reminder. Unfortunately, flowers do not last for any significant length of time, and the petals that we hold onto become brittle, shrivel and turn brown within days. At Fantastic Blooms Floral Preservation, we use advanced freeze-drying techniques and state-of-the-art equipment, to make preserving your funeral flowers possible! Read on to discover how the process of preserving your funeral flowers is carried out from start to finish. If you have any questions, be sure to contact us! How to preserve flowers from a funeral – what is the process like? If you’re wondering how to preserve flowers from a funeral, we at Fantastic Blooms use what is called a freeze-drying process for memorial flower preservation. This professional, multi step process involves the pre-treatment of your flowers, freezing them, and primary followed by secondary drying stages. Once your special flowers arrive at our showroom location, they are taken and photographed from multiple perspectives. A complete list is also created at this time to inventory all the different flowers included in your arrangement, along with other included sentimental items / mementoes that you’d like to include in your keepsake. In cases where your flowers come to us in special arrangement, they are carefully disassembled so that they can be prepared to enter our freeze-dryer individually. Individual placement of funeral flowers helps to ensure that the moisture is thoroughly removed from each petal. Your funeral flowers are then prepared for preservation by our re-hydration and pre-treatment process. Memorial flowers that have been fully pre-treated are placed within our commercial state-of-the-art freeze driers, where they will remain for apx two to three weeks. The length of time varies according to the type of flower. After this stage, the memorial flowers are removed from the freeze-dryer. While in most cases the flowers will emerge with their initial shape and color, there are some flowers that will deepen in hue. For instance, some colored flowers may intensify in color, while white flowers may take on a more ivory or cream-like appearance. With a special solution, the funeral flowers will now be post treated to help protect them from shattering. This post treatment will also make the flowers easier to handle in the design process. With the freeze-drying process complete, your preserved memorial flowers are moved into a storage that is climate controlled. Here, they will remain until the design of your keepsake is decided on. Meeting with a member from our design consultation team will enable you to select how you would like to create your keepsake. You will be able to chose from different encasement types, mat colors, flower petal jewelry options and more. 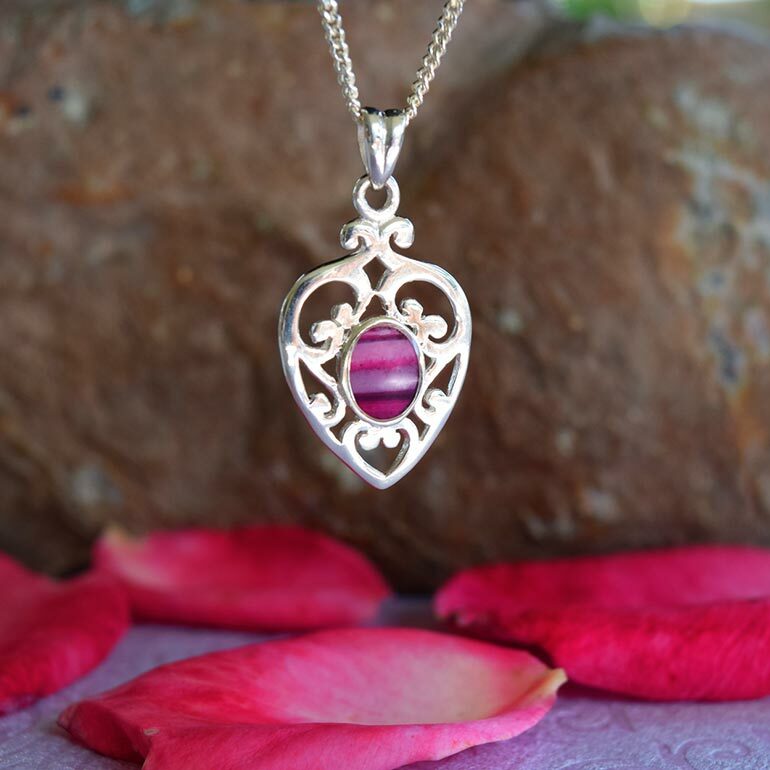 Once you have made your choice, our designers will create your piece, incorporating any other items of sentimental value that you have included. Your preserved memorial flower keepsake will then remain in our climate controlled storage until it’s ready to be picked up or shipped back to you. 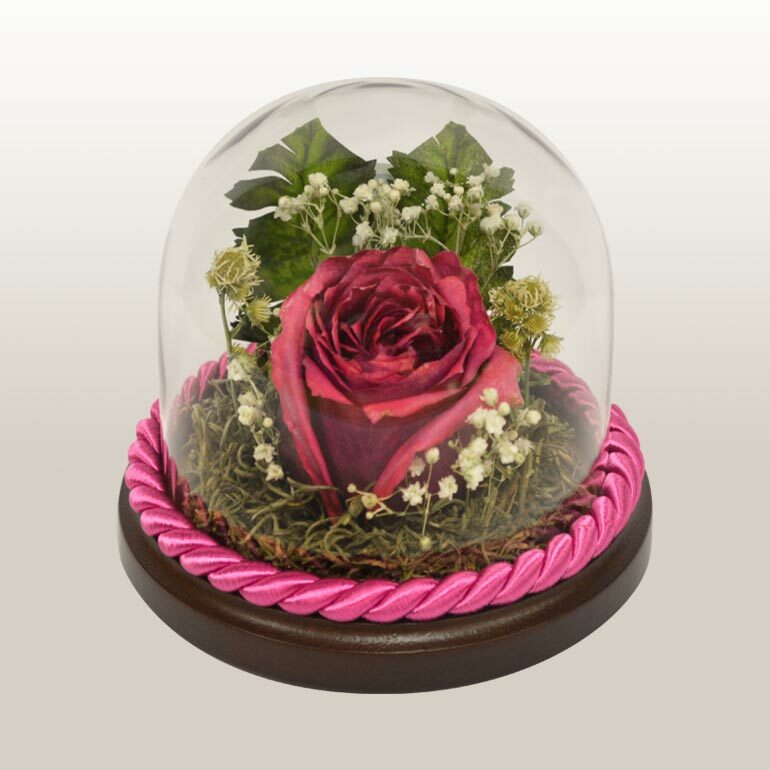 Professional freeze-drying methods for funeral flowers will vary according to keepsake selection. Hopefully you have a better feel for how the memorial flower preservation process now flows… It will vary, of course, depending on what type of keepsake you’d like to preserve your funeral flowers into. 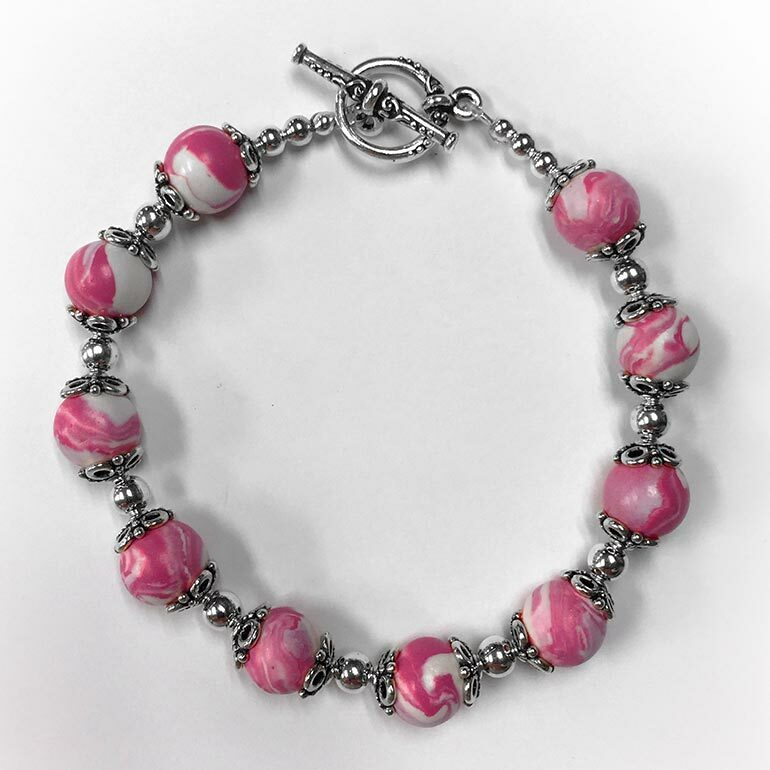 The process will differ to create flower petal jewelry, for instance, since the flowers will need to be reshaped into beads after the preservation process. Calling in and speaking to a professional flower preservationist from Fantastic Blooms can help answer any additional questions you may have. Preserving memorial flowers for customers in Kansas, Missouri and nationwide. 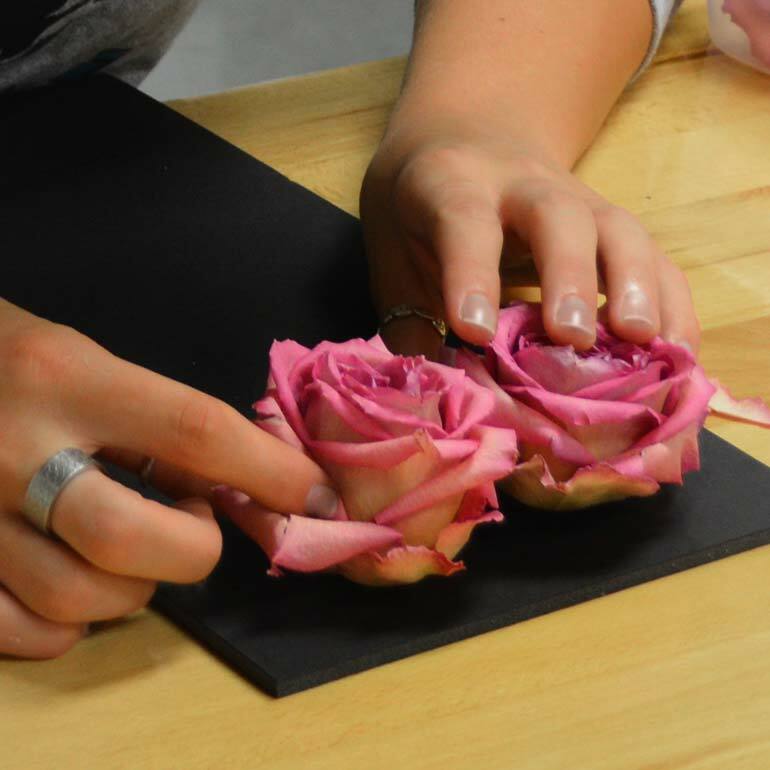 Wondering how to preserve roses from a funeral, or your other special flowers? If you’re ready to get started, Fantastic Blooms is here to professionally freeze-dry your memorial flowers into a lasting keepsake. We believe that you will enjoy the process! Contact us if you have any questions, or get started by selecting the button below. 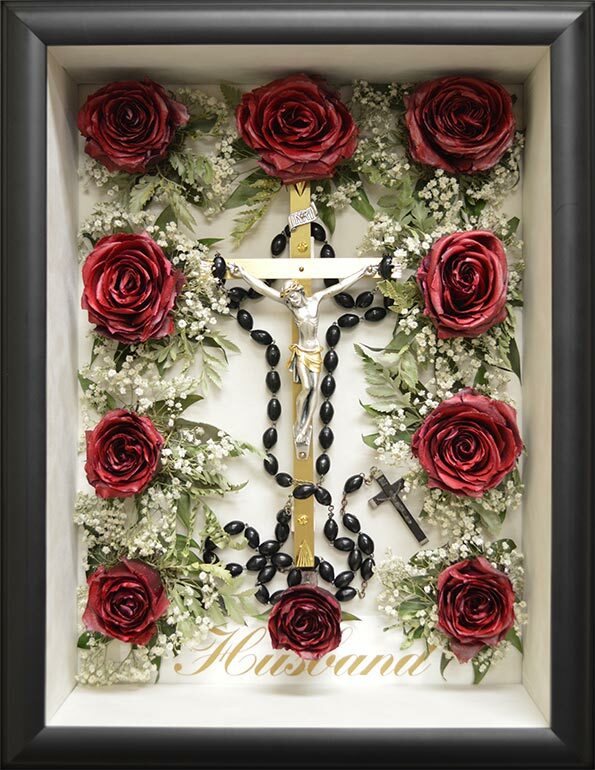 You can also explore our gallery to take a look at examples of preserved memorial rosaries, funeral flower petal jewelry, and other keepsakes to get inspired for your own special piece!